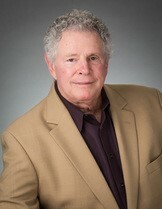 Marc Charney is active in community business organizations. He has served as: a director and past president (1978) and is a lifetime director of the Oxnard Chamber of Commerce; a director and former president (1993-1994) and is a lifetime director of the Ventura County Economic Development Association; a director and chair of the Oxnard Economic Development Corporation; a director and former chair (2000) of the University of California at Santa Barbara Economic Forecast Project, Ventura County; and a director of the California Lutheran University Center for Economic Research and Forecasting. Mr. Charney has received recognition, including Outstanding Young Man of the Year for the Oxnard Junior Chamber of Commerce in 1978, Business Person of the Year for the Oxnard Chamber of Commerce in 1994, receiving the Ventura County Economic Development Association Carl Lowthorp Golden Eagle award for outstanding public service in 1994, 2004 and 2009, and being honored with the first Founder's Award for the Ventura County Leadership Academy in 2011. In November of 2011, Mr. Charney was awarded the prestigious Ben E. Nordman Public Service Award. Mr. Charney is also active in charitable organizations. He is a former officer and director of the United Way of Ventura County, El Concillio de Condado de Ventura (1986-1993), the Ventura County Division of the American Heart Association, and the American Cancer Society, Central county Division. He served on the 2000-2001 Grants Committee for Destino 2000, on the Food Share of Ventura County Board, and he was a founding director and is currently on the advisory committee to the Ventura County Leadership Academy. He served as Secretary to the Ben Nordman Public Service Award Fund from its inception in 1986 through 2010. He is currently a Trustee of the Harriet H. Samuelsson Foundation. Marc does all of this while maintaining his law practice in the area of real property transactions, land use and development, public agency and environmental law. Mr. Charney was born in Chicago, Illinois and raised in the South Bay Area of Los Angeles. He resides in Oxnard with his wife Marcia. They have five children and eight grandchildren, scattered from Ventura County to Wisconsin and Alaska.